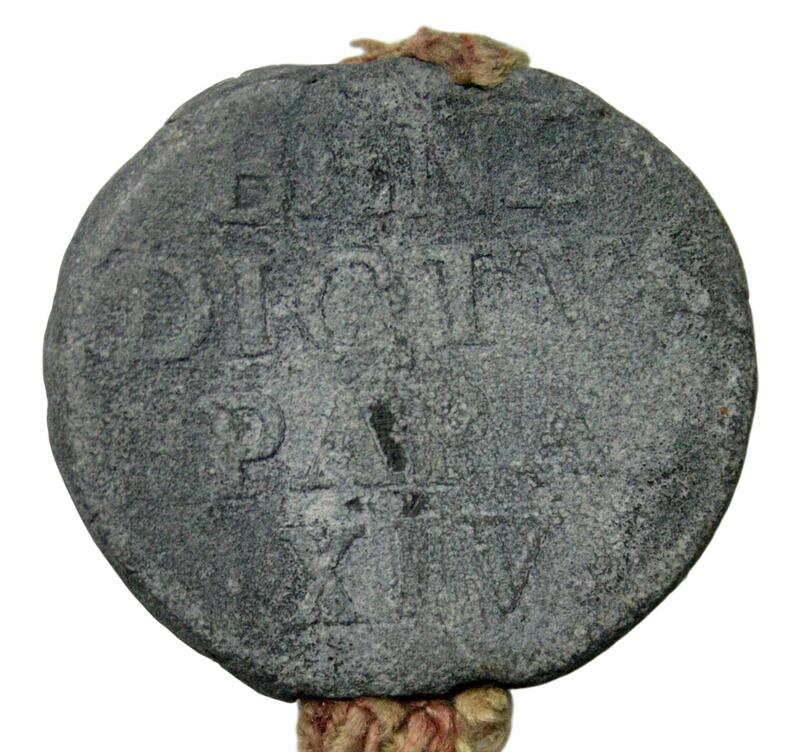 Lead seal from Pope Benedict XIV (1740-1758). Good condition. 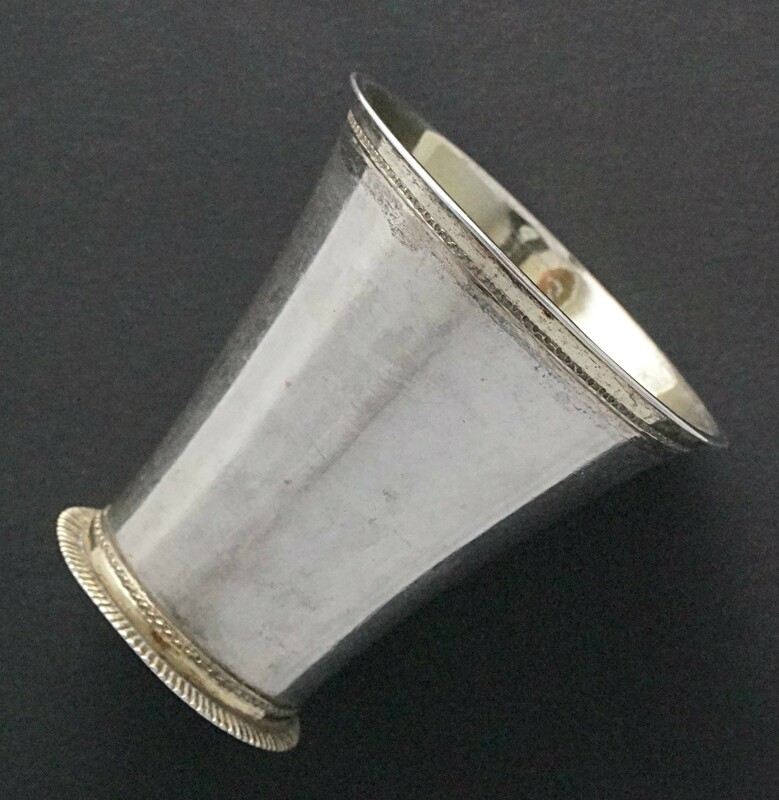 Weight: 58,31 g.
Silver goblet from ca. 1750 with Swedish 4 mark dated 1700 (Ahlström et al. (1976) 170:42) set in the base. Weight: 84,3 g.